It was only in doing the link for my last post on Frankestein and Dr. Jekyll and Mr. Hyde, that I stumbled across the news that Bernie Wrightson had died. I grew up with the work of Bernie Wrightson, and no one seeing his art, particularly his stunning linework for Frankenstein could deny that he was one of the world’s greatest living artists. The fact that that moniker must now be changed to ‘greatest artist’ is apt but painful. To his family and friends, and to his admirer’s and fans like myself, my heartfelt sympathies goes out. We mourn the dead not for themselves, selfish humans that we are, but for us. We are suddenly made more alone by their absence, even strangers who we only new by marks on a page, can leave a whole in us, equal to the joy those images gave us. In terms of Bernie Wrightson it is sizeable. But we have the images. Like unreal master draftsman before him, such as Gustave Dore and Virgil Finlay who have passed into the long night, the mystery that waits for us all, he joins the pantheon of Legends. Those three for me are the trinity of Linework/iIlustrative gods. There is unfortunately an absence of new artists coming up with the mind blowing pen and ink skills of Wrightson, and more than that… his work ethic, and patience, and attention to detail, which is a shame. I wonder when we’ll see another artist of his skillset and mindset, who will produce work of the scope of Wrightson’s FRANKENSTEIN. 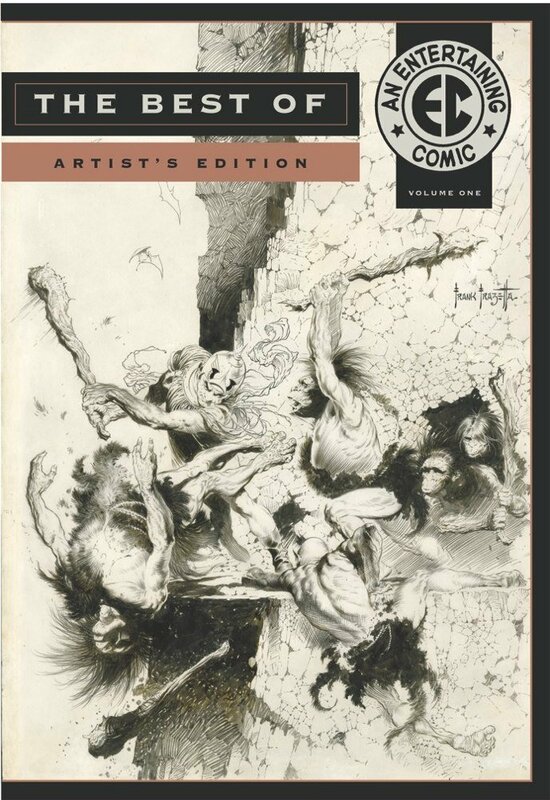 Wrightson is of that earlier age that produced contemporaries and proteges such as Kaluta and Sienkiewicz and Bissette and Totleben, And his inspiration lives on in them and in us. It’s about time that the 19th century’s most staggering and arguably prolific artist of the fantastic received a worthy hardcover tome, and with the almost sold out 2014 book, DORE:MASTER OF IMAGINATION edited by Phillippe Kaenel, Gustave Dore finally has that acclaim, and his fans finally have that book. The book however, by shear breadth of Dore’s output, is in no way a comprehensive overview of his output, and is more a very cursory sampling of the different projects and mediums this renaissance man of the 19th century put his hand to. So it is not perfect, but it is essential and makes a great companion to those quickly going out of print, but wonderful, 1970s Dover paperback compilations of Dore’s work. Whoever the editor at Dover Publishing in the 1970s who spearheaded reprinting Dore’s acclaimed works in affordable but quality paperback volumes, they created a great boon to art lovers everywhere. Dore was the master of the meticulous and the detailed and the imaginative, a single one of his painstaking engravings having more complexity and depth and range than most modern day artists produce in a year. There is this school of thought, that I do not subscribe to, that detail is bad, or unnecessary, or overkill. Largely spearheaded by modern artists incapable of doing detail, so they attack the idea of detailed illustrations to justify the value of their limitations. Simplicity and minimalism have their uses, but they will never replace, or supplant, or overshadow, prodigious talent, prodigious passion, and prodigious detail, all in service to a prodigious imagination. And Gustav Dore brought all that immense talent to every drawing he did. As an artist he has my highest recommendation. All of the Dover Dore books are collectible, but the four best are the DORE BIBLE, DORE DANTE’S DIVINE COMEDY, DORE’s ORLANDO FURIOSO, and Dore’s IDYLLS OF THE KING. And the DORE: MASTER OF IMAGINATION book serves as a bit more upscale exploration of Gustav Dore’s life and work. Price your copy of that and the Dover Titles below! Gustave Dore 1832-1883: Master of Imagination beautiful Hardcover Tome!